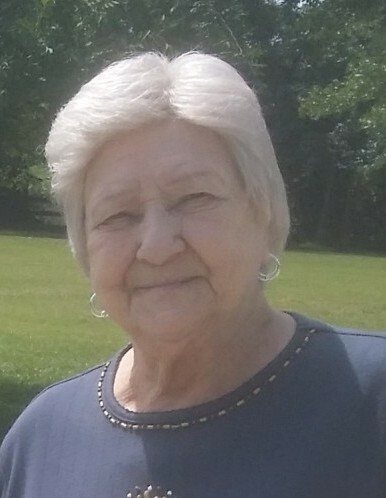 Cecelia (Sroka) Blunt, age 88, passed away on April 3, 2019 at the Bridge Assisted Living in the Care of Hospice of Marion County, Ocala, FL. Born in Holyoke, MA on June 20, 1930, she was the daughter of Walenty and Aniela (Nellie Czerwonka)) Sroka. Ceal grew up in Holyoke and South Hadley, MA. She married an Air Force Soldier from Westover AFB . As an Air Force wife, she lived in England, Germany, Iceland, several stateside military Bases and finally putting roots down in Biloxi, MS in 1964. She worked for the Army Air Force Exchange System for 40 years, retiring in 1994. After retirement she worked part time at the Beauvoir-Jefferson Davis Shrine gift shop in Biloxi. After losing nearly everything to Hurricane Katrina in 2005, she moved to Ocala, FL to be near family. In her retirement years she loved to volunteer, play bingo, and travel back to Biloxi to visit friends and casinos. She also especially loved to babysit her grand dogs. She will be forever missed with a spot in the hearts of her Son, Erich and his wife Nancy of Ocala, FL. She is also survived by 2 grandchildren and siblings, Henry and Fred Sroka. Predeceasing her are her parents, siblings Vicki Shewchuck, Florence Grochowalski , Stanley and Walter Sroka. Her inurned remains will be brought back to South Hadley and interred with her parents at Mater Dolorosa Cemetery.